The Bailey Bridges Dive Site in Subic Bay is a great dive site for the advanced open water diver. Sitting at a depth between 26m – 32m the site consists of two Bailey Bridges along with the forward half of a Landing Craft Mechanised and a single barge, similar to others in the bay. Donald Bailey was a civil servant during the Second World War and in 1940 he designed what we now know as the “Bailey Bridge”. This is a type of portable, pre-fabricated truss bridge. Recognised for its advantages where it can be quickly put into service. It was used extensively by the British, Canadian and US Engineering Units during WW2. Bridge parts were made by engineers with little or no experience in this line of work, although simple, parts had to be accurate. The bridges were built continuously inside factories to test its accuracy, newly manufactured parts were built one end whilst dismantled from the other and distributed to the end user. Advantages for military purposes include, no special tools or heavy equipment needed, the wood and steel elements were small enough to be transported by trucks and light enough to be lifted and put into place by hand. The bridge could be erected piece by piece on site and launched from one side of the gap. Upon completion were strong enough to carry armoured vehicles. The Bailey Bridge was first used in the North African Theatre in 1942 by the Corps of Royal Engineers, then extensively used through Europe and Asia they have since been used worldwide throughout many major civil engineering projects. Donald Bailey was awarded £10,000 and was knighted for its development in 1954. Depicted in the 1977 epic war movie The Bridge Too Far where a lengthy scene shows the erection of a bridge at Son in the Netherlands by the 101st Airborne. 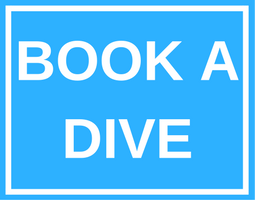 This is a great dive for engineering enthusiasts and divers qualified as Advanced Open Water and above. Located against a sloping reef wall, the Bailey Bridges Dive Site in Subic Bay is a unique dive and one to tick off the bucket list. Great for afternoon boat trips due to it’s location within the bay, and an Instructor’s favourite to highlight the benefit of Enriched Air Training.